If you require a room for a larger event, be it a business meeting, banquet or social gathering, contact me for a list of rooms available. We can assist you with setup, catering, linens, china, liquor licensing, conference registrations and accommodations. 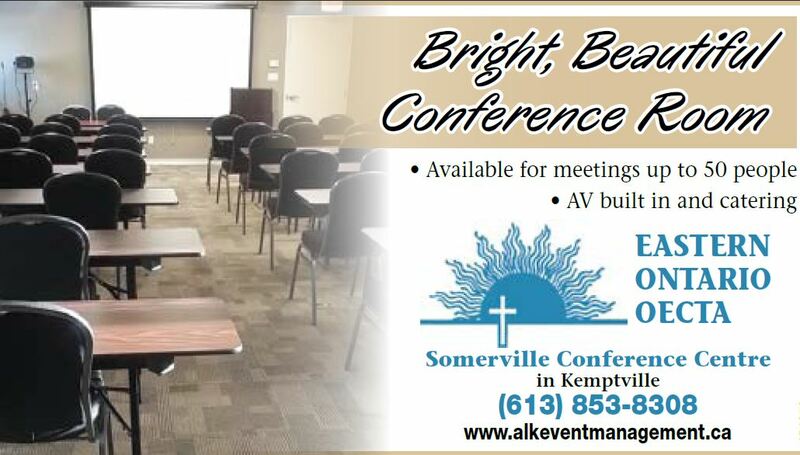 Beautiful, bright conference room for 10 to 50 people can be found at the Somerville Conference Centre located in the heart of Kemptville. Classroom, boardroom or conference style setup with LCD projector, sound and wifi included in the rental fee. Contact me to arrange a tour, or to reserve it for your meeting. It's the best kept secret in North Grenville!